On March 27, Carlos Falchi passed away at the age of 70. Carlos was a staple in the fashion industry and a designer I was lucky to have met on multiple occasions. His joy for life, love, family and his craft showed immediately upon meeting him. Falchi became well-known for his exotic handbags, which have been carried by major retailers since the 1970s. 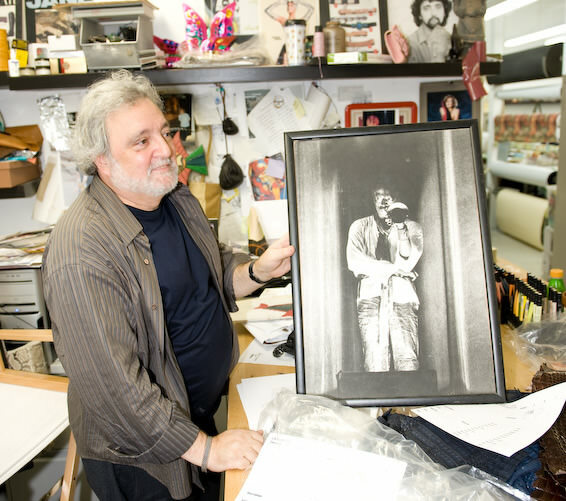 Falchi arrived in NYC from his native Brazil and got started designing clothing for the likes of Miles Davis, Mick Jagger, Elvis Presley and Tina Turner. It would seem to the casual observer that Falchi had an extensive education in fashion, and while he learned a great deal from his mother’s background in bridal design, Falchi came onto the scene without traditional schooling. Instead, he had a true love and passion of creating something special. Falchi transitioned into handbags, and that became his passion. He worked out of his office in the heart of New York City and was incredibly hands-on with the process, meticulously picking out the skins to be used for his next bag.